DHS Nebraska Avenue Complex, Washington D.C. The Science and Technology Directorate (S&T) is a component within the United States Department of Homeland Security. DHS-S&T serves as the research and development arm of the Department as it fulfills its national security mission. The Science and Technology Directorate is led by the Under Secretary of Homeland Security for Science and Technology, who is appointed by the President of the United States with confirmation by the United States Senate. William N. Bryan is the acting Under Secretary. The Under Secretary for Homeland Security Science and Technology currently administers a number of publicly available programs to promote independent development of homeland security technologies. SAFECOM is the Federal umbrella program designed to foster interoperability among the Nation’s public safety practitioners, so that they may communicate across disciplines and jurisdictions during an emergency. 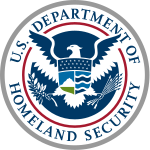 Homeland Open Security Technology (HOST) is a five-year, $10 million program to promote the creation and use of open security and open-source software in the United States government and military. In October 2011, the directorate won the Open Source for America 2011 Government Deployment Open Source Award for the program. ^ Hsu, Jeremy (2011-05-26). “U.S. Considers Open-Source Software for Cybersecurity”. MSNBC. Retrieved 2011-10-14. ^ Rockwell, Mark (2011-10-18). “DHS technology directorate wins awards for cyber security efforts”. Government Security News. Retrieved 2011-10-24. ^ “Fiscal Year (FY) 2013 Budget Budget in Brief, DHS, pg 169” (PDF). Department of Homeland Security. 2012. Retrieved 2011-08-29.